This is what the top side of the Marine Layer looks like! I drove my wife to the San Francisco Airport last night. 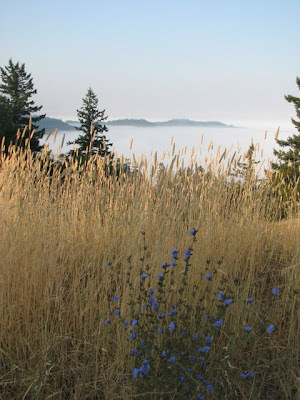 During my morning return I stopped to take this photo from the high point where highway 20 crosses over the coastal range between Willits and Fort Bragg. I only post photos of what I find during my walks and gawks but please excuse this exception; it's the marine layer thing.